Concord, N.C., Aug. 1, 2018 – Missouri roads are about to get a little bit safer. The Missouri Safety Center at the University of Central Missouri (UCM) and Missouri Department of Transportation (MODOT) are teaming up to bring Doug Herbert’s B.R.A.K.E.S. (Be Responsible And Keep Everyone Safe) Teen Pro-Active Driving School to the Missouri Safety Center at UCM Sept. 15-16. B.R.A.K.E.S. is a GuideStar Platinum-rated 501(c)(3) charity that offers free, hands-on defensive driver training to teens and their parents nationwide. Multi-time Top Fuel drag racing champion Doug Herbert founded the road safety organization in honor of his two teenage sons, Jon and James, who lost their lives in a car crash in 2008. The mid-September event, one of 38 weekend training programs B.R.A.K.E.S. will conduct throughout 2018 – and one of three schools scheduled within an hour’s drive of Kansas City this fall – will take place at the Highway Safety Instructional Park in Warrensburg, Mo..
Funding for the Warrensburg B.R.A.K.E.S. event is being made possible by a grant from MODOT, as part of Missouri’s Blueprint – A Partnership Towards Zero Deaths. B.R.A.K.E.S. is NOT Driver’s Ed. It is a FREE, hands-on, advanced driver training program taught by professional instructors, including current and former members of law enforcement, professional racers and stunt drivers. B.R.A.K.E.S. maintains a low three-to-one student-to-instructor ratio to maximize educational effectiveness. B.R.A.K.E.S. training is proven effective. A study by University of North Carolina, Charlotte, Professor Emeritus Dr. Paul Friday showed that B.R.A.K.E.S. graduates are 64 percent less likely to experience a crash in the first three years of driving when compared with non-graduate peers. Each weekend B.R.A.K.E.S. school includes four identical sessions to allow parents and teens to pick one that will fit into their busy schedules. Each session includes four hours of training, starting with a short, 45-minute classroom presentation followed by nearly three hours behind the wheel of new Kia vehicles. Courses include distracted driving awareness, panic braking, drop-wheel/off-road recovery, crash avoidance and car control/skid recovery – all of the biggest causes of crashes for new drivers. Other educational elements often include ‘Big Rig’ safety, first responder vehicle extrication demonstration, and what to do in the event of a traffic stop. Registration for the Sept. 15-16 B.R.A.K.E.S program in Warrensburg – as well as training events in Topeka, Kansas (Sept. 22-23), and Kansas City, Kansas (Oct.r 28-29) – is now open. For complete B.R.A.K.E.S. 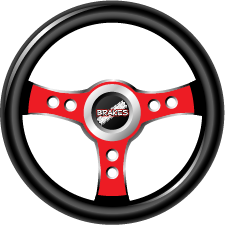 schedule information and/or to register for a class, visit www.putonthebrakes.org. Doug Herbert’s B.R.A.K.E.S. (Be Responsible and Keep Everyone Safe) is a GuideStar Platinum- rated 501(c)3 non-profit whose mission is to prevent injuries and save lives by training and educating teenage drivers and their parents about the importance of safe and responsible driving. B.R.A.K.E.S. was founded in 2008 after Top Fuel drag racer Doug Herbert lost his two young sons, Jon and James, in a tragic car crash. Today, more than 30,000 teens from 43 different states and five countries – and their parents – have graduated from the B.R.A.K.E.S.’ intensive half-day training course, which is free of charge and features hands-on skills exercises taught by professional instructors in a fleet of new vehicles donated by Kia Motors America. The Missouri Safety Center at the University of Central Missouri serves the state of Missouri and the nation in transportation safety, law enforcement training, research, and education. The Missouri Safety Center has been in operation for more than 50 years and our Highway Safety Instructional Park is used for motorcycle safety training, driver education, police driving training, and CDL training. We work closely with the Missouri Department of Transportation and the National Highway Transportation Safety Administration to support highway safety in all aspects. The University of Central Missouri serves approximately 12,500 students from more than 40 states and 60 countries. UCM has been serving the community for nearly 150 years and offers 150 programs of study. UCM is located in Warrensburg, Mo., approximately 50 miles southeast of Kansas City. UCM is committed to Learning to a Greater Degree and supports engaged learning, future-focused academics, a worldly perspective, and a culture of service.